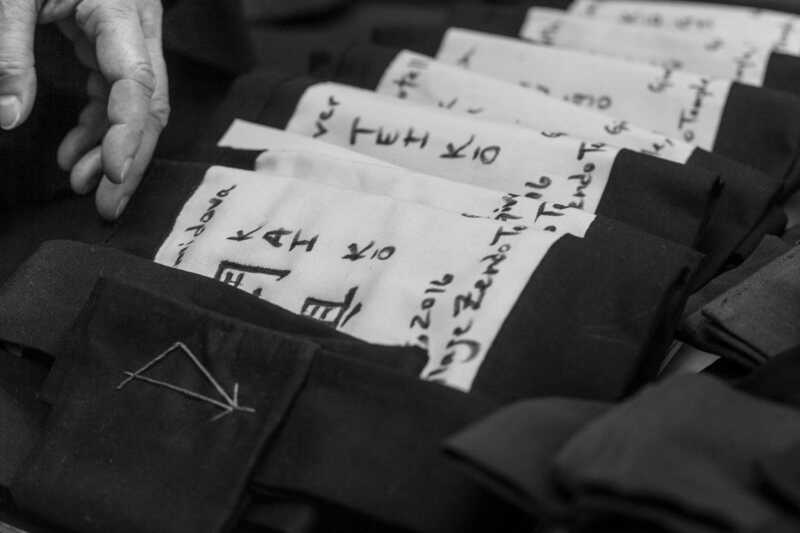 August 7, 2016. 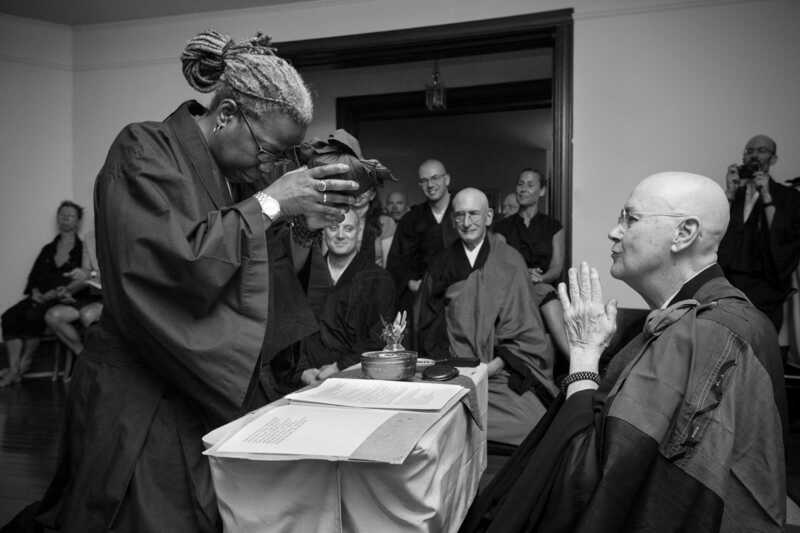 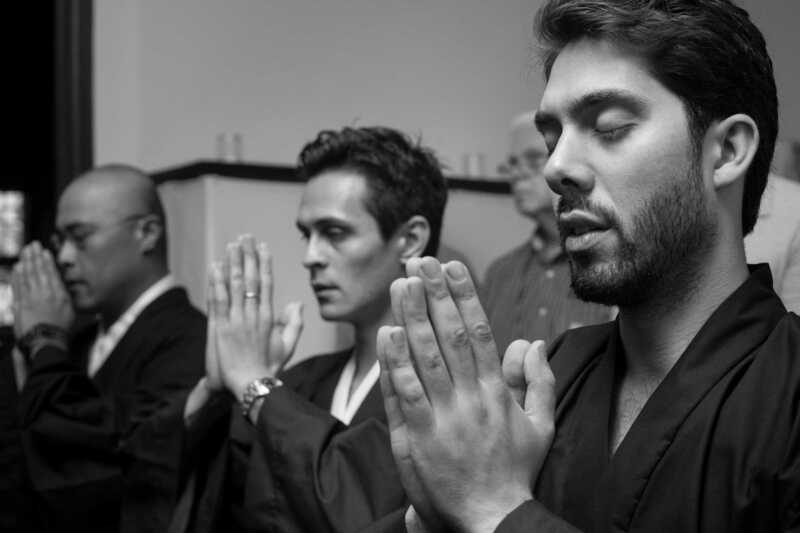 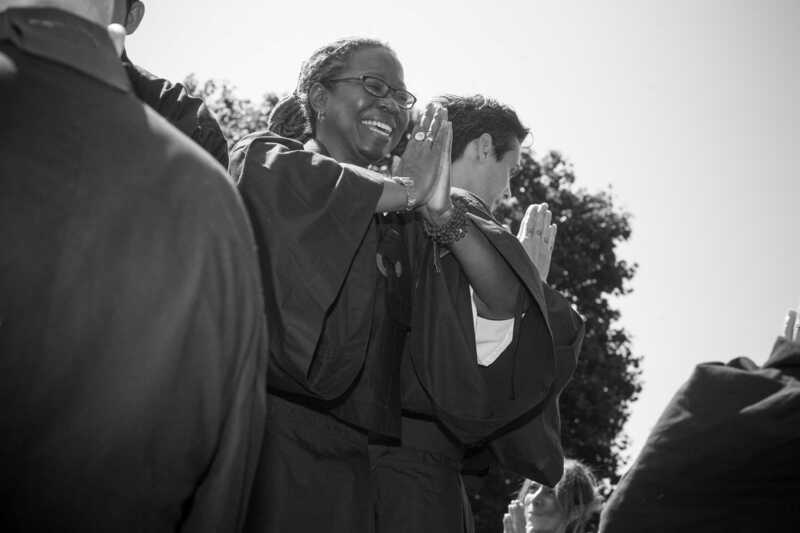 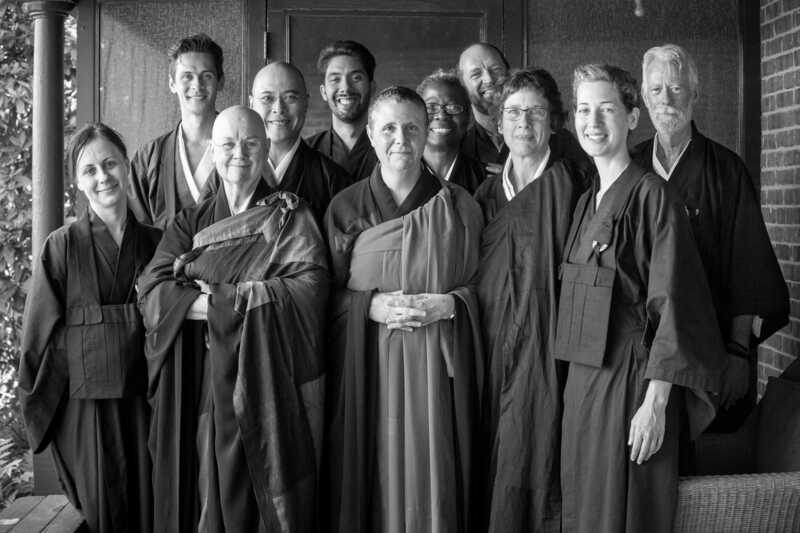 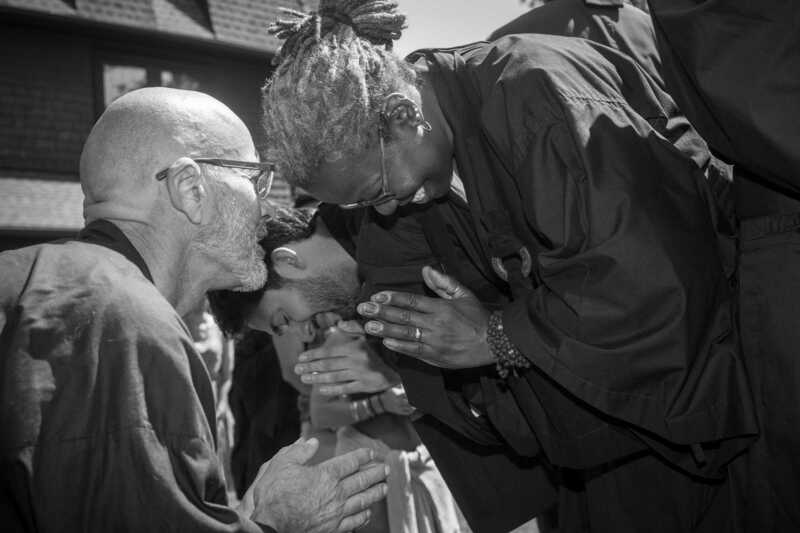 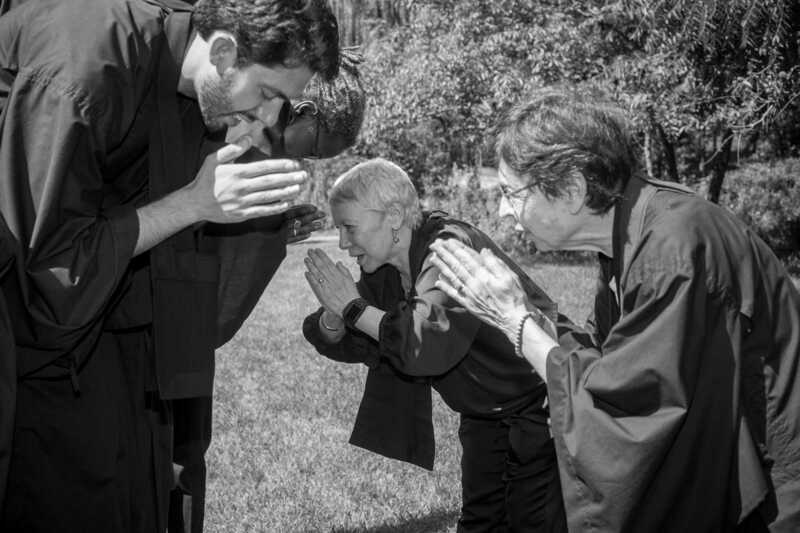 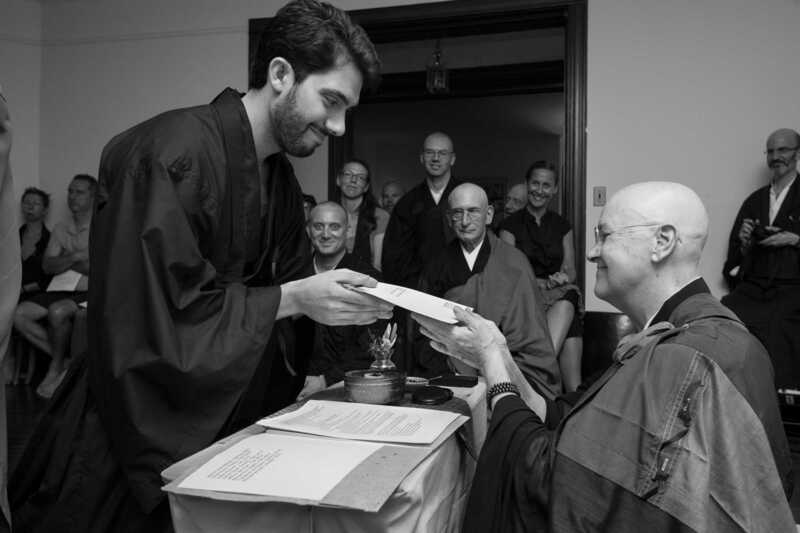 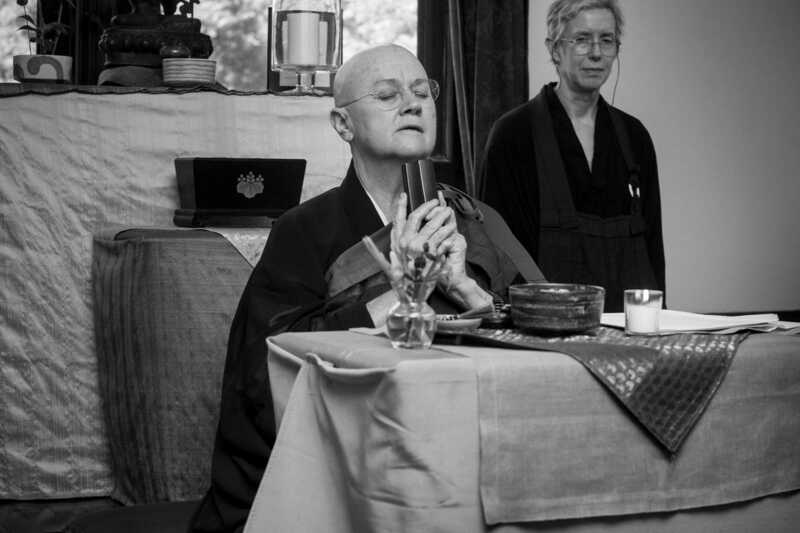 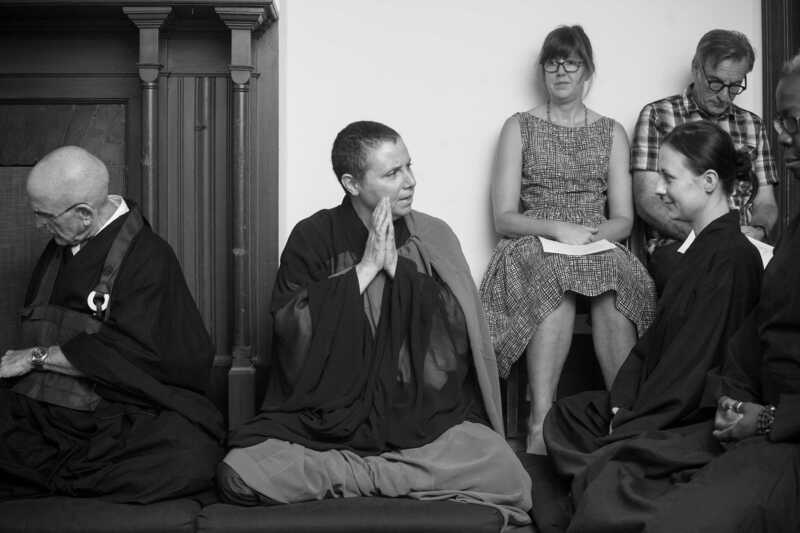 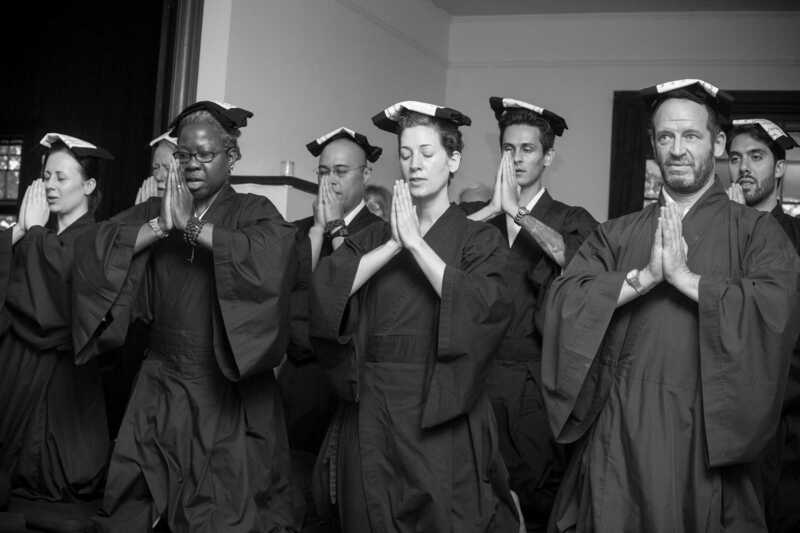 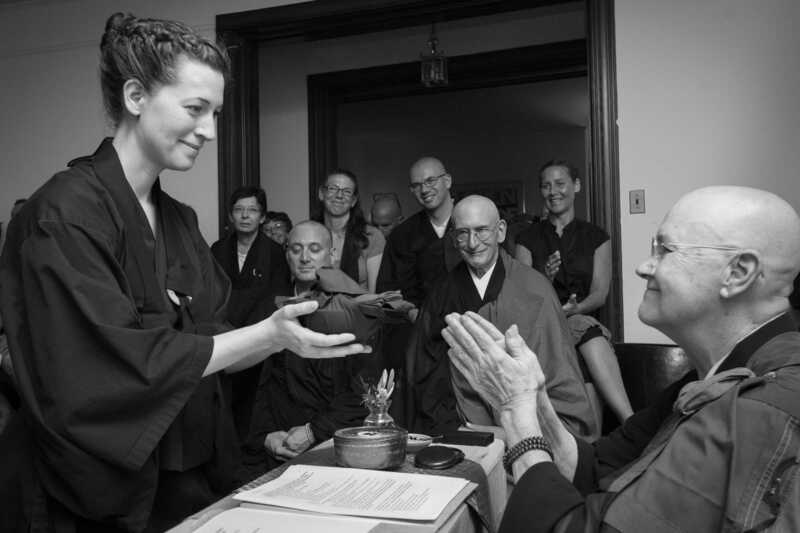 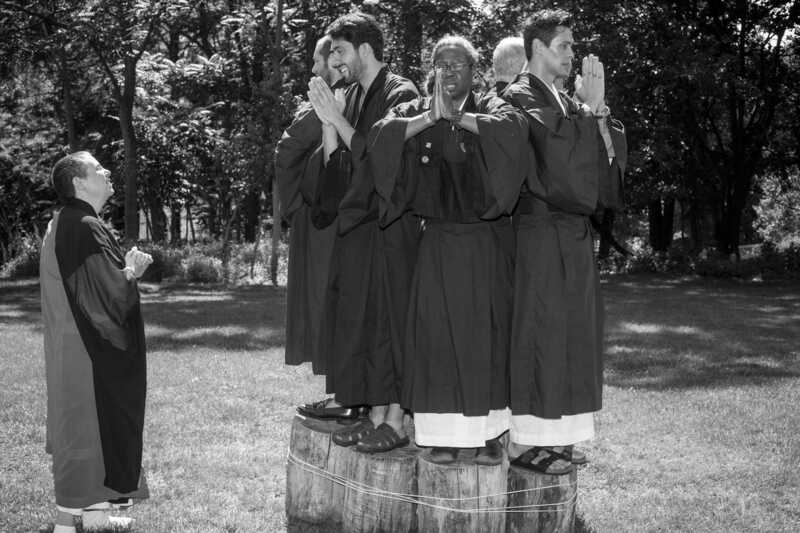 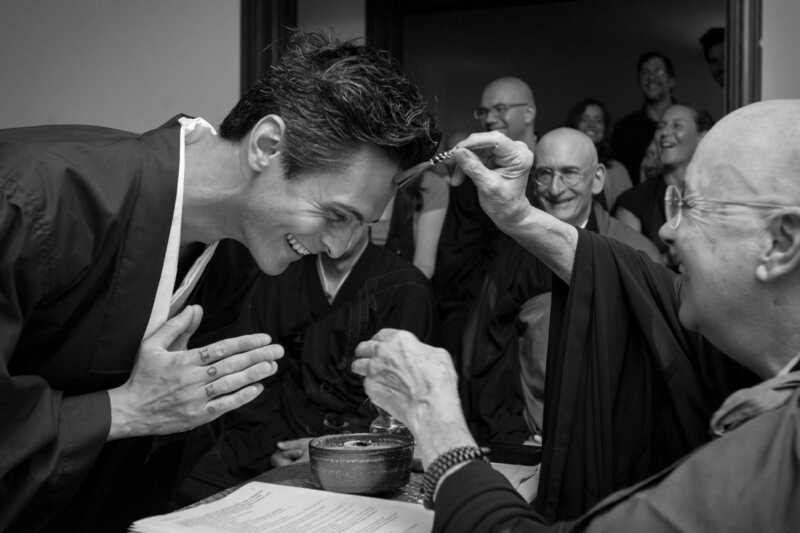 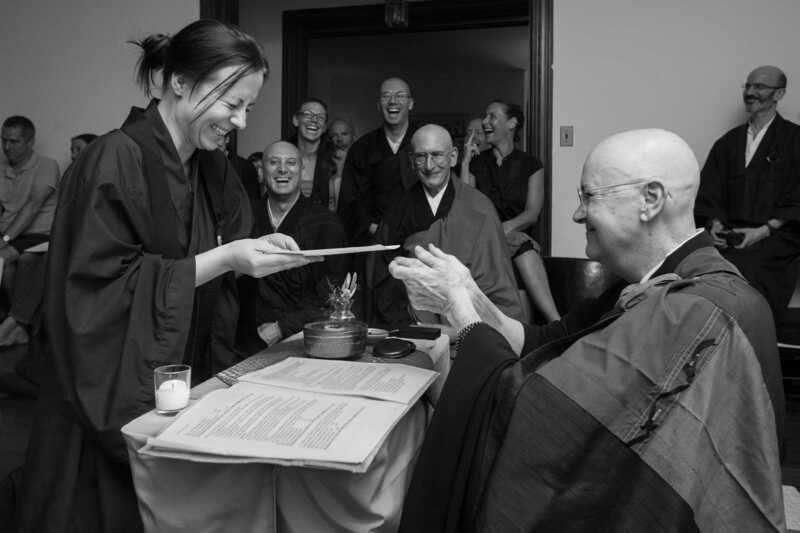 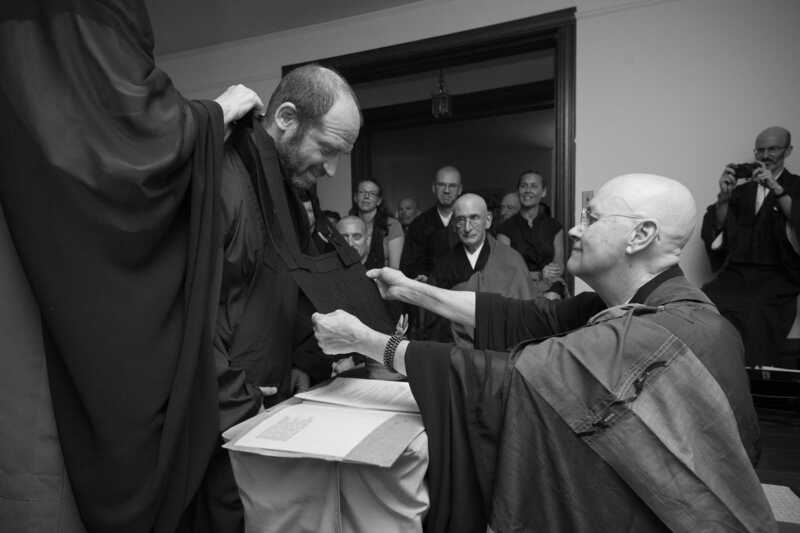 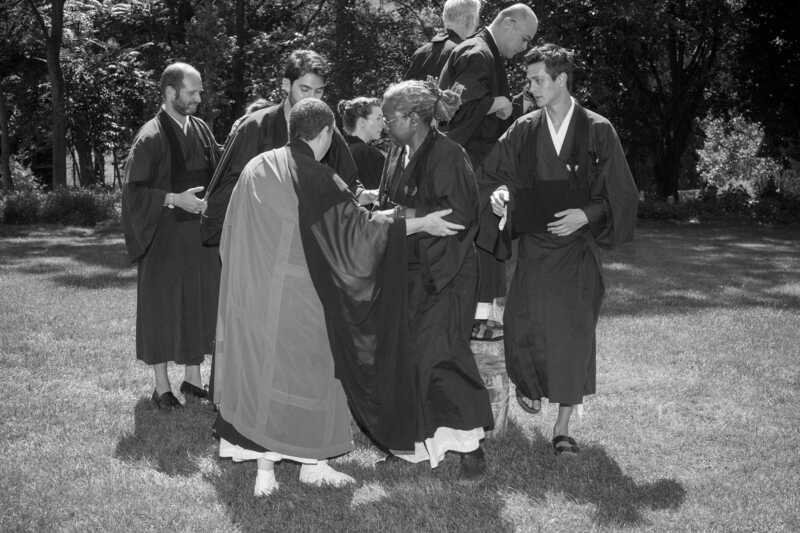 The Village Zendo's annual jukai ceremony: eight students vowed to uphold the Buddhist precepts. 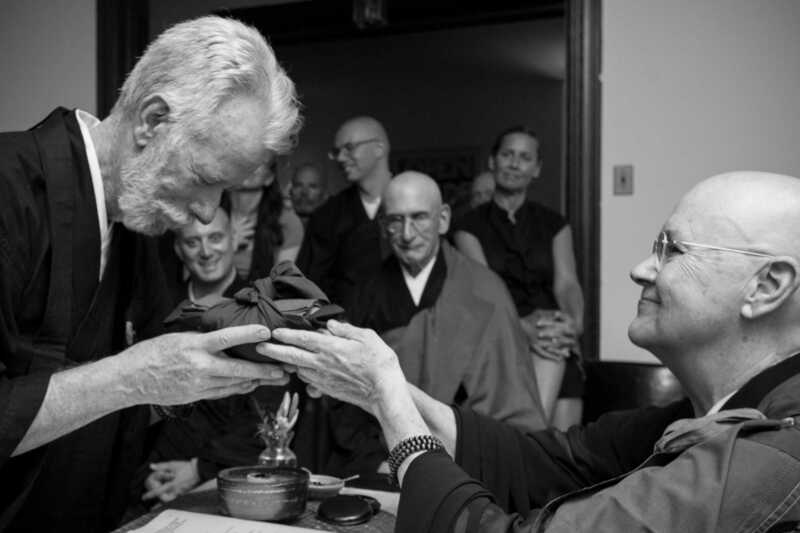 Our abbott Enkyo anoints each student with a bit of water from a pine sprig, and gives them a lineage chart, a set of bowls wrapped in cloth, and a new name. 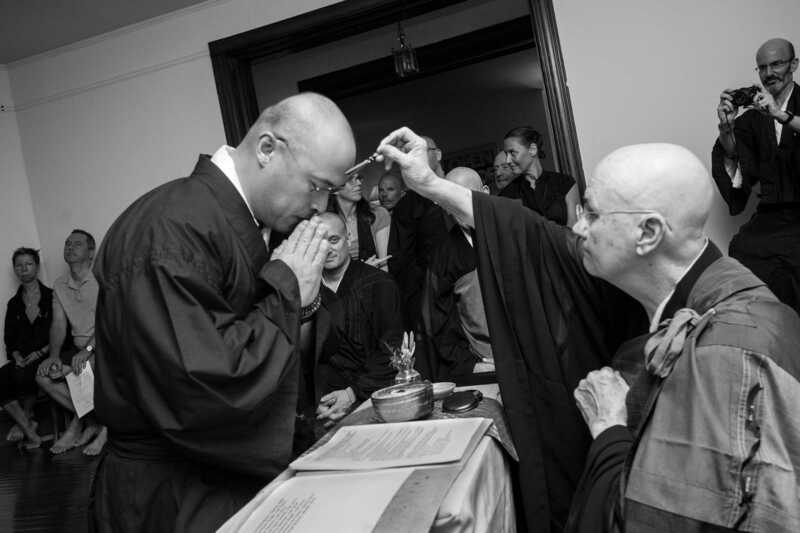 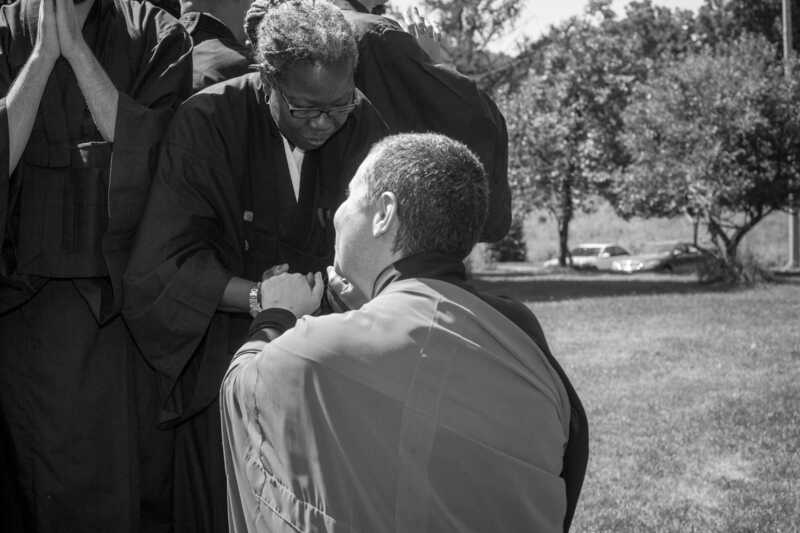 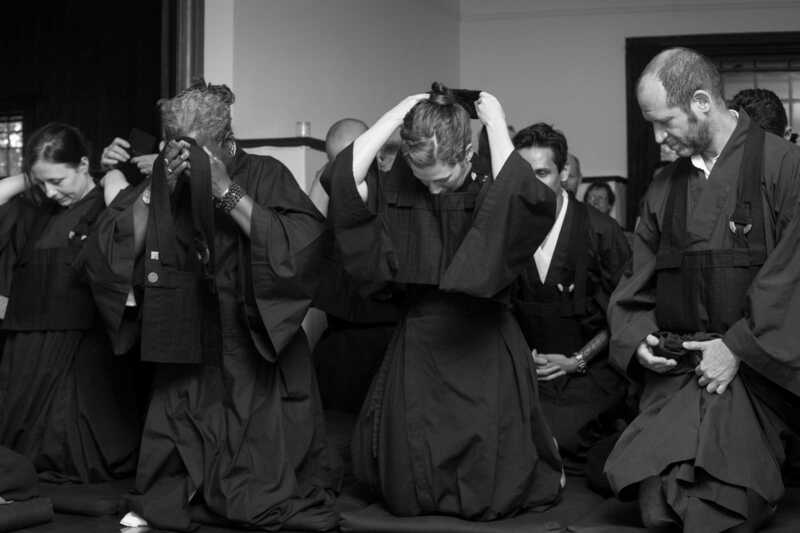 Recipients spend the weeks before the ceremony sewing rakusus for themselves—on the day of jukai they put on their rakusus for the first time, then stand on a platform and bow to each sangha member chanting "Buddha recognizes Buddha."